Waking up a little later than we should have (this would be very evident later on), we checked in with one another to see how we we’re feeling. Overall we all had a good night’s sleep despite injuries and stiff muscles. We prepared breakfast, broke camp and started what would be a very long day. 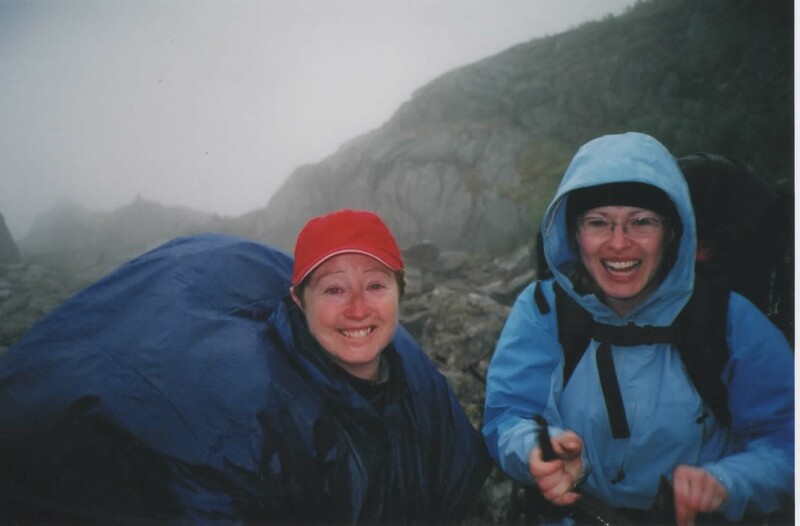 Today we were crossing the most demanding part of the five-day Chilkoot Trail – the scales and the summit. We had been told that it could take up to 12 hours to travel from Sheep Camp to Happy Camp (the next camp after the summit) a total of 12.7 km (7.9 miles) and almost 3,000 feet in height. My biggest concern of course was my knee. How was it going to hold out to hike this very challenging day? Within a few hours it started raining and the temperature dropped. We had to be very careful not to slip on slick rocks, roots or mud because the ground was getting quite slippery. Around lunch time we stopped for a few minutes to take our packs off and eat a snack consisting of granola bars and nuts as it was raining so much we we’re not able to cook a hot meal. The pain I was feeling in my knee with every step I took was getting quite excruciating and very sharp. If was as if I was kneeling on shards of glass. The pain relievers I had with me were no longer having much effect. I was worried about taking too much and ending up other issues. I realized that I had no idea how to manage pain with medication. Unfortunately for my sister, an old knee injury was coming back to haunt her which was now causing her significant pain as well. 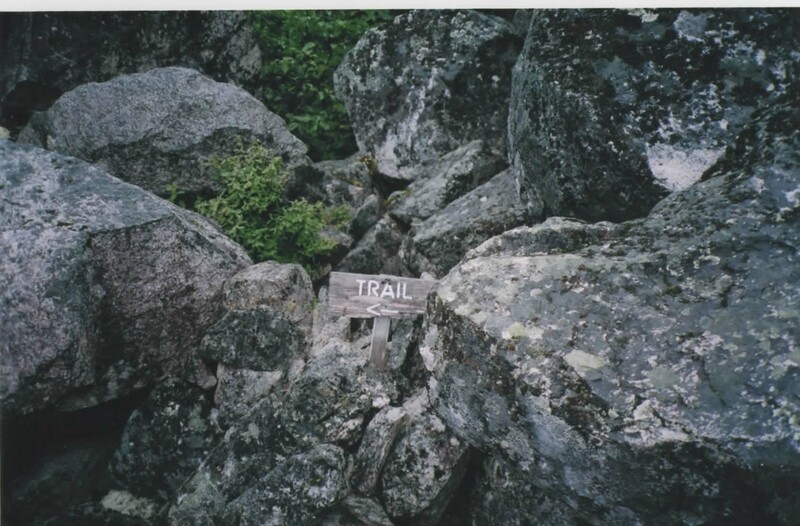 The three of us forged ahead and hiked over boulders the likes of which I had never seen before. The boulders were literally walls in front of us that somehow we managed to climb over and then down the other side. It was at this point that my sister and I took turns having small crying breakdowns due to the pain. At one point I was really doubting my ability to continue the hike. With encouraging words, we supported each other during these tough moments. It was also at this point that our fellow hiker, Michelle, took the lead watching for sign posts and led us out of the boulder field. I am usually in a lead position, but at this point I was very grateful she had stepped up to the plate as I physically couldn’t do it. 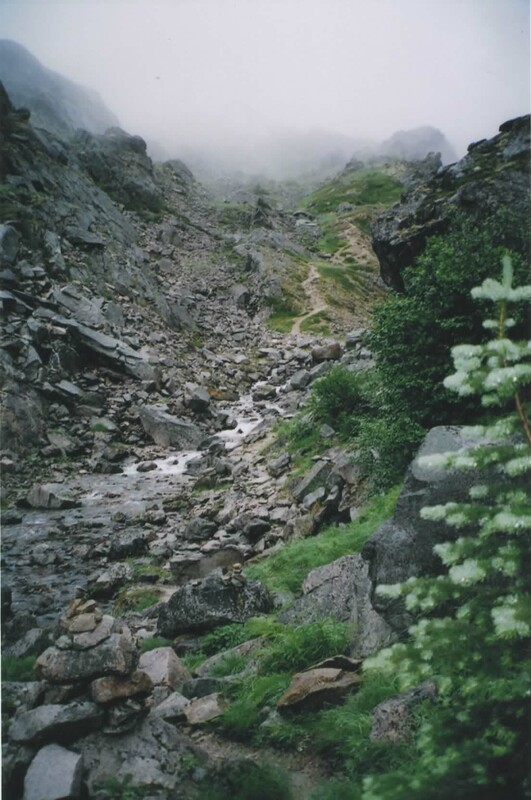 Finally at the Scales, we stopped and looked up and saw the long difficult incline, the “Golden Stairs” to the pass. 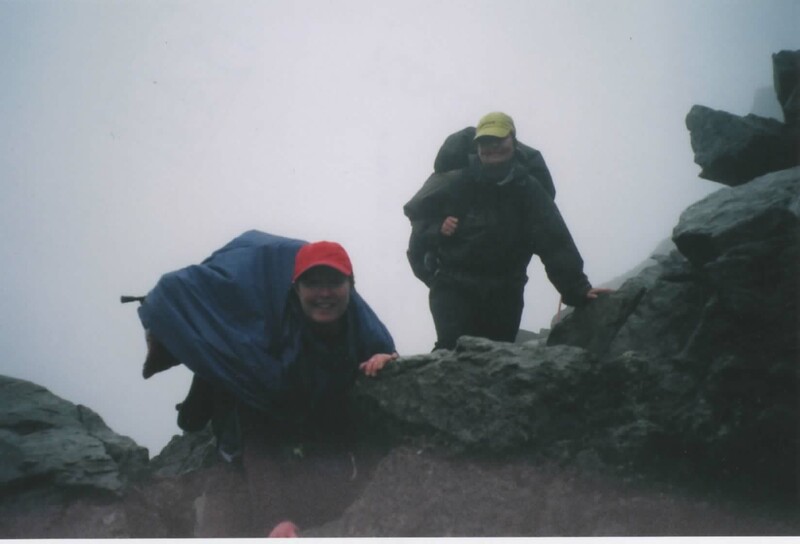 We had been told to expect two false summits before actually reaching the summit. The weather was not cooperating with us today as the rain continued but now the wind became very strong. We found ourselves on very narrow ledges having to almost crawl up and hug the mountain rocks being careful not to slip or be blown off the mountain. Slowly but surely we made our way up and arrived at the top of Chilkoot pass at approximately 4 p.m. We stopped at the Parks Canada warming cabin and warden station where we were finally able to eat a hot meal, change out of our drenched clothing, warm up, and rest for a little while. Allow others to support you when you require it; then you support them in their time of need. Dig deep within yourself and find the strength you need to put one foot in front of the other – others are counting on you. When you can’t lead for whatever reason – that’s okay, others will step up to the challenge. Allow others to shine and lead. I am strong, resilient and determined. I need to learn how to properly manage pain with pain medications. 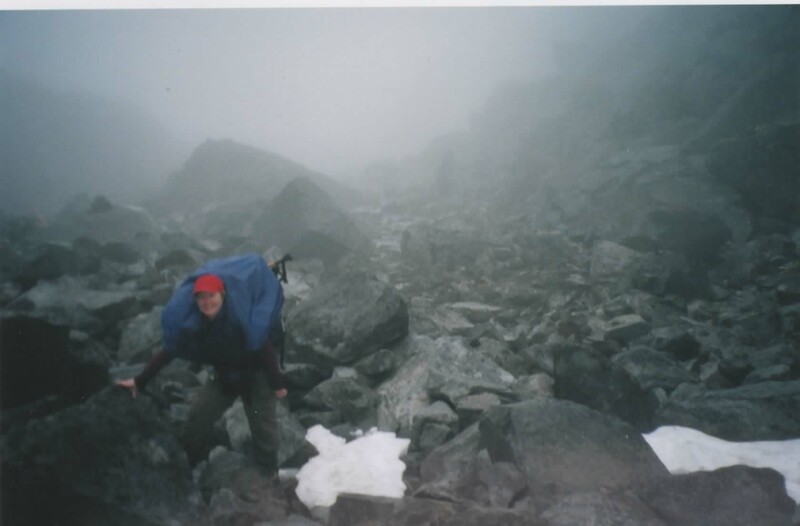 This entry was posted in Chilkoot Trail...Leadership, Redworks Blog (all posts) and tagged adversity, leadership by mgauthier. Bookmark the permalink.